How Does Student Engagement Affect Cognitive Development? In the United States, higher education is undergoing a major reform in response to changing economic agendas, shifting demographics, eroding public confidence, demands for accountability, and increasingly diverse student populations. Research suggests that when students engage in out-of-classactivities, their interpersonal interactions with other studentsare a major source of influence on their in-class learning. Cognitive epistemology is an area of research that investigates beliefs about knowledge and the nature of reasoning. Understanding the relationship between student engagement in out-of-class activities and student cognitive epistemology provides further support for integrating in-class and out-of-class experiences incollege freshmen in order to create optimal environments to enhance student learning. 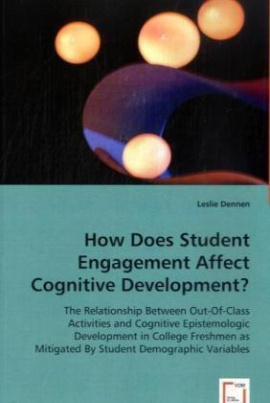 Bitte schreiben Sie uns Ihre Meinung zu: How Does Student Engagement Affect Cognitive Development?